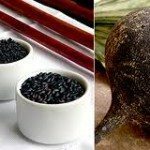 Black Rice – Packed with vitamin E and has more antioxidants than blueberries which are considered to be extremely high in antioxidants. 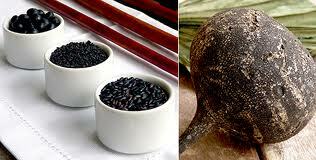 Black Lentils – Loaded with iron, one cup has nearly half the daily iron requirement for women. It is also high in a soluble fibre to keep you regular. Black Beans – Very good at protecting you from cancer. This has been shown in research from Cornell University. Black Tea – Very high in antioxidants. It’s said to help improve muscle recovery, lower the risk of heart attack and help in calming.